Our Sunshine Coast event accommodation is conveniently located between Mooloolaba and Maroochydore, in the beachside area of Alexandra Headland. 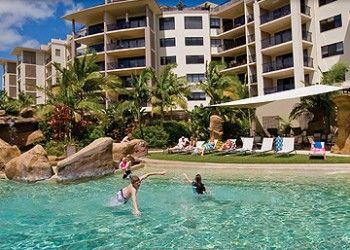 The Mirage Alexandra Headland is a four and a half star resort and the perfect location for any event, family holidays, weddings and honeymoons or enjoy relaxed accommodation if you are attending one of the many Sunshine Coast events. With a great range of sporting and cultural events held annually on the Sunshine Coast this resort is centrally located and a short distance to events and facilities including Mooloolaba and Maroochydore beaches, Stockland Park, the Kawana sports precinct, the Nambour Civic Centre, Fishermans Road netball courts, the Events Centre Caloundra and a range of sporting fields and venues. Choose from a great range of accommodation options perfect for your requirements. With 1, 2 and 3 bedroom apartments, all with fully equipped kitchens, air conditioning, spacious interiors and an outdoor balcony area there will be plenty of space for everyone. Take advantage of the fantastic range of onsite facilities which include a range of pools from lap to the kiddy’s pool. Enjoy a workout in the gym before a sauna and spa. Shoot some hoops on the half court basketball court, a game of tennis or indoor bowls at the adjacent Sunshine Coast bowling centre. 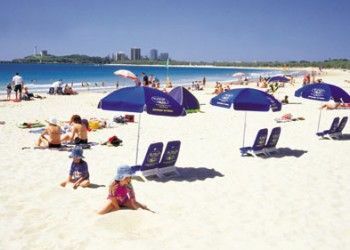 For the younger members of the family there is an onsite playground or adjacent to this Alexandra Headland accommodation resort you will find Nelson Park with its duck pond, safe playground area and bbq’s. Walk to the beach at Alexandra Headland with its surf break and patrolled swimming area. Follow the coastal pathways to discover Mooloolaba and Maroochydore with great shopping and dining options. Whether you are organising your own family event or partaking in one of the local Sunshine Coast events, the Mirage Alex is the perfect Sunshine Coast event accommodation choice for your next visit.